While the Budget delivered on some of the Hamilton Chamber’s specific policy proposals outlined in its Pre-Budget Submission and policy resolutions, others remain unaddressed. 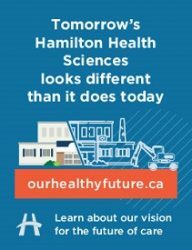 The following is a summary of key highlights from the perspective of Hamilton’s business community. 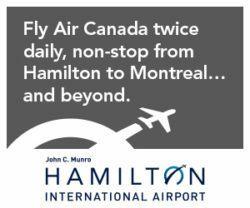 The Hamilton Chamber of Commerce applauds the provincial government’s decision. For several years, the Chamber, empowered by its 1,000 members, has rallied the community, including Hamilton’s Anchor Institutions and other business associations in support of a project that is integral to the future prosperity of Hamilton. The provincial government’s decision to resume the RFP process, lift the freeze on land acquisitions, and confirm $1 billion in funding for the B-Line LRT is welcome and appreciated. The HCC awaits construction consortia selection and shovels in the ground. The Province is paralleling the federal government in allowing businesses to immediately write off investments made in specified clean energy equipment. This incentive will make investments in clean energy generation and energy conservation equipment more attractive. Invest $315 million over the next five years in regional and shovel‐ready projects, to expand broadband and cellular infrastructure across Ontario. The Province will provide more details as part of its Broadband and Cellular Strategy, which will be released later this year. 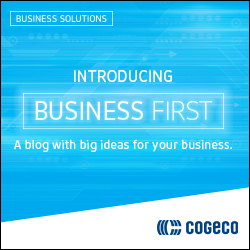 In this digital age, we know businesses rely on high speed, dependable, low cost internet connectivity to operate and remain competitive. The HCC released our Digital Infrastructure Report last week, which assesses the state of digital infrastructure & broadband in Hamilton. We look forward to hearing more about the government’s impending Broadband and Cellular Strategy. The new tax credit would provide up to 75 per cent of eligible child care expenses so that families can go to work, run a business, or study to acquire new skills. The CARE tax credit with an estimated annual cost of $390 million. In our 2019 Pre-Budget Submission, the HCC recommended that the province implement rebates for childcare. The mismatch between labour supply and demand is a significant barrier to economic growth. Providing access to childcare increases the participation of women in the workforce, which in turn increases family earnings, fills job openings, and contributes to the growing Ontario economy. By implementing the childcare rebate, the province is taking steps to increase workforce participation, address labour supply issues, and make life less expensive for Ontarians. The HCC supports this decision and commends the Ford government for listening to the needs of business. Create a tailgating permit for eligible sporting events. Introduce legislation permitting municipalities to designate public areas, such as parks, for the consumption of alcohol. Providing flexibility for wineries, cideries, breweries and distilleries to promote their products at manufacturing sites by removing the prescribed serving sizes for “by the glass” licences. Extending hours of alcohol service at licensed establishments — including bars, restaurants and golf courses — to a 9:00 a.m. start, seven days per week. Introduce legislation to pause the previous government’s changes to the Wine Tax, which was scheduled to increase on April 1. The HCC is proud to represent several craft alcohol producers in Hamilton. The Chamber has long advocated for reducing the regulatory burden on Ontario’s alcoholic beverage industry. In the past, we have supported recommendations to increase market access across Canada by breaking down internal trade barriers and allowing e-commerce of any locally produced alcoholic beverage across interprovincial borders. 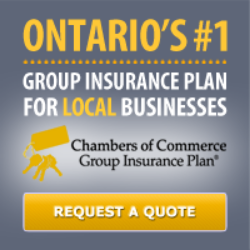 Currently, the HCC is contributing to the Ontario Chamber of Commerce’s Beverage Alcohol Working Group, where we will release a joint policy report focusing on how the Government of Ontario can support the beverage alcohol industry by modernizing the sale of alcohol in Ontario and reducing relevant regulatory burdens. The measures signify progress towards an overall goal to ensure Ontario’s alcoholic beverage industry is not unnecessarily regulated, to the detriment of both businesses and consumers.